Kevin L. Walsh advises clients on a wide range of fiduciary matters and other issues involving benefit plans. His practice encompasses helping plan service providers comply with the Department of Labor’s fiduciary rules, working with them as they develop processes for and make investments, and helping them navigate the impact of Commodity Futures Trading Commission (CFTC), Office of Foreign Assets Control (OFAC), and SEC regulations. Kevin counsels clients primarily on issues related to Title I of ERISA, but also works with clients on the intersection of ERISA and other federal statutes. He assists insurers in obtaining guidance from the Department of Labor, and helps plan fiduciaries structure investments. 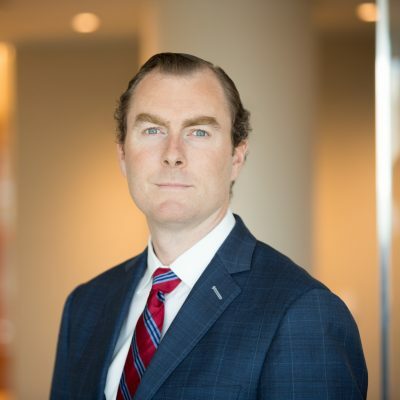 He has also worked with plan service providers to structure the distribution of proprietary products in a manner that complies with ERISA’s prohibited transaction provisions. Kevin is also a member of Groom’s Policy and Legislation Group, where he leverages his deep legislative experience on behalf of clients by providing technical legislative drafting services and strategic advice on interacting with the legislative and executive branches. I’ve always enjoyed working with others to achieve common goals and Groom was a great fit.